Not all movers are created equal: Jim Barnes has over thirty years of experience in the moving industry. 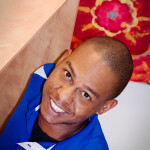 Jim’s team is quick, efficient, friendly, and, above all, will provide you with peace of mind. Jim and Tish also understand how to help you identify which services you need and how to cost effectively package service options with your needs and requirements. 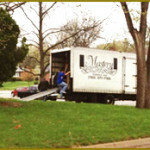 Mastery Moving is the go-to company in Topeka for Commercial moves of all sizes. We specialize in office relocations. We are properly insured for your protection and will provide a complete documentation package for your ease of approval. Do you need an executive or other VIP relocated? No problem. We have corporate packages which range from down the hall to another state. 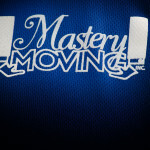 Mastery Moving also offers a range of services to residential customers from packing support to a full-service move. We specialize in pianos and antiques. Full-service Moves mean: Full Service. We pack, move and deliver all of your company or personal items. Our packing crew will arrive 2-4 days before the moving crew, to pack and fully prep your business or household for a stress free move. On the day of your move, our moving crew will handle your items with utmost care for prompt delivery to your new location. Our “Move from a Distance” service is one of our most appreciated niches. We accept the honor and privilege granted by you to care for those you love. If you are located out of state and are unable to be present and move your loved one to their new home (for example from their house to an assisted living center) you will be interested in this service. We will work with you to set expectations on how to best handle all the details regarding the move. We will keep you updated at each critical junction before, during, and at the end of the move. Do you prefer to pack yourself and need us to move your items to their new location? No problem. Our Moving Team is available to move any or all of your commercial or household items. Be Aware: Do not plan to pack the day of your move – our efficient crew will be done before you can finish! Do you have the move covered, but need a helpful hand to pack for you? Our all-woman packing crew will safely and securely pack all your precious items for moving, storage, and/or shipping. Do you want to pack and move yourself, but need a team of strong and able bodies for the heavy lifting? Our moving teams are available to show up and load your truck or U-Haul for you, no sweat… at least not yours. Did you just buy new carpet? If you need your furniture moved out of the way, we can do that. Do you want to re-arrange the items in your home or complete an office swap? We can do that too. Do you have a single heavy item you need taken care of? 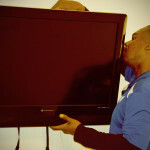 Give us a call; we bring the team sized to your need. 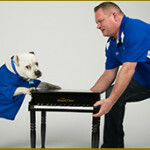 Do you need a piano placed in an “impossible” location? One of our strategically creative piano moves came about when we relocated a piano on to a balcony for one of our clients. Other moving companies had concluded the requested location would be impossible to achieve. We specialize in packing and moving antiques and pianos. We can work directly with estate auction houses like Christie’s, to carry out their exact specifications for crating your treasured items. We are also the go-to Moving Company in Topeka for Macfee Furniture Refinishing & Repair. 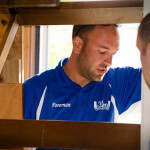 We work with their team to ensure your refinished items are delivered to you safely. If you are a corporate office and need private, secure, climate controlled storage space for your documents or extra files, we have several specialty storage spaces left. Call us today to find out more on how to take advantage of this specialty business service. More than one of our moves has involved drives between towns, or several pick ups around town. As if that wasn't enough, they still hustled, were efficient, and careful. At one point, when they thought they were finished, we decided to ask them to switch yet two more heavy pieces. They did so without even rolling their eyes! All in all, we are raving fans! !